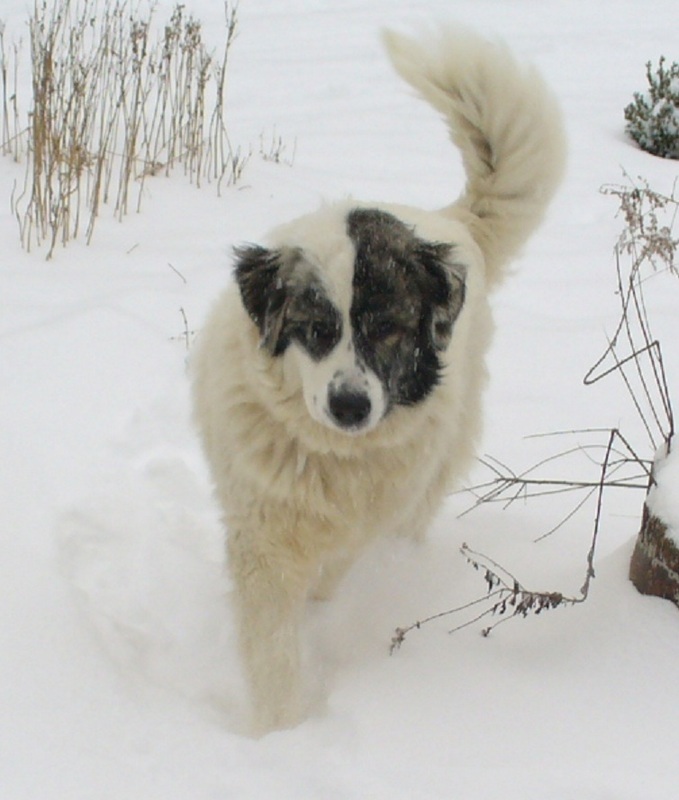 This breed originated in Bulgaria as a mountain livestock guardian dog. 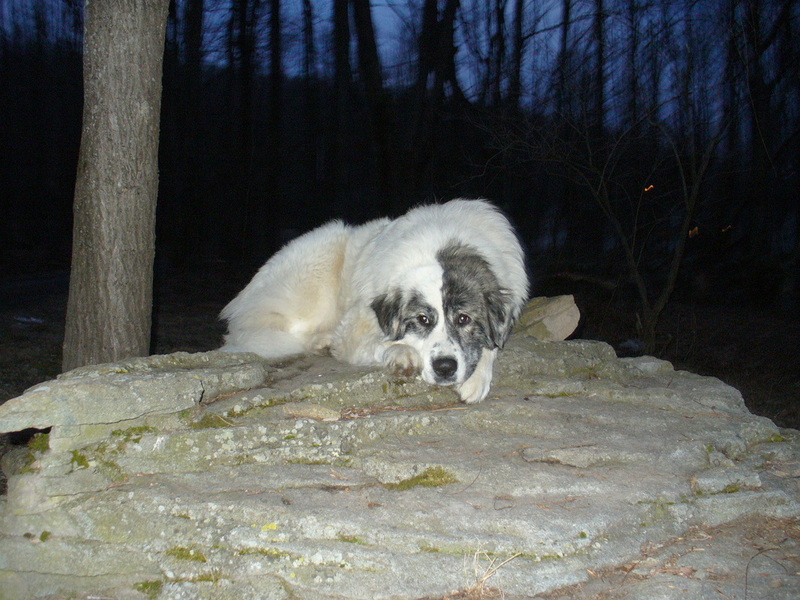 The dog is named after the Karakachans, Balkan nomadic shepherds. She was born on a Horse Farm in Indiana. Her parents were working dogs, of course. from intruding pit bull. Injury was too extensive and she couldn't be saved. 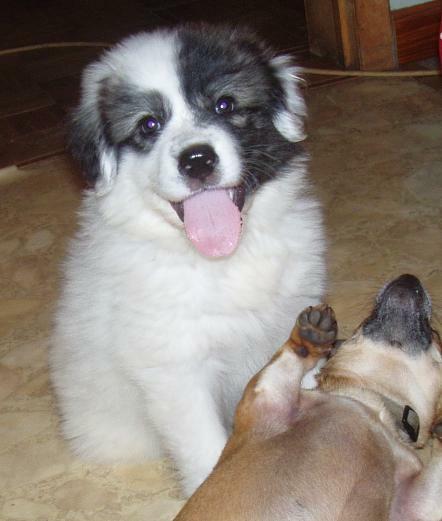 I stressed out to the breeder, that my future Guardians have to be good with all kind of animals; big and small. 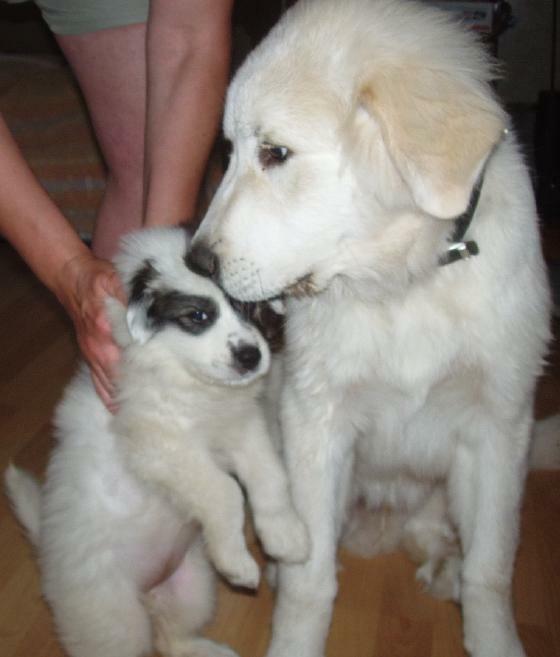 "My" puppy is getting little bigger & fluffier. Misha is observing his new companion. I do buy pet food, but they both doesn't like it. They eat it some times, when they really hungry. Now she trust me and I can put my hand on her head, while she is eating. She likes brushing, but is sensitive to "hair pulling" and she won't let me touch her nails! Complete opposite to GP. I can leave her on a porch and don't even lock the door, just pretend to close them; she never attempts to push that door (little Mimi is opening that door with her nose). She is nice to cats, smaller house dogs, chickens and goats - as long as none of them touch her food! I would describe her as very domiciled, which is one of her plus points. I would also describe her as "mean" as opposite to sweet Misha. While Misha will be wagging his tail to a softly spoken visitor, Milenka will be either growling and/or backing off. She barks more and growl more then GP, when she feels threatened. She is devoted to me - her handler - that I have to admit! Milenka is not affraid to fight predator. Many times she come on a morning with a blood on her fur. That wasn't her blood! I am checking my dogs thoroughly every morning, if they sustained any injury during a night. So far they are OK, no harm done to them, besides skunk smell in their furs. These dogs are large enough to intimidate or kill predators and they are not intended to be family pets. They are GUARDIANS and need to be treated as such! 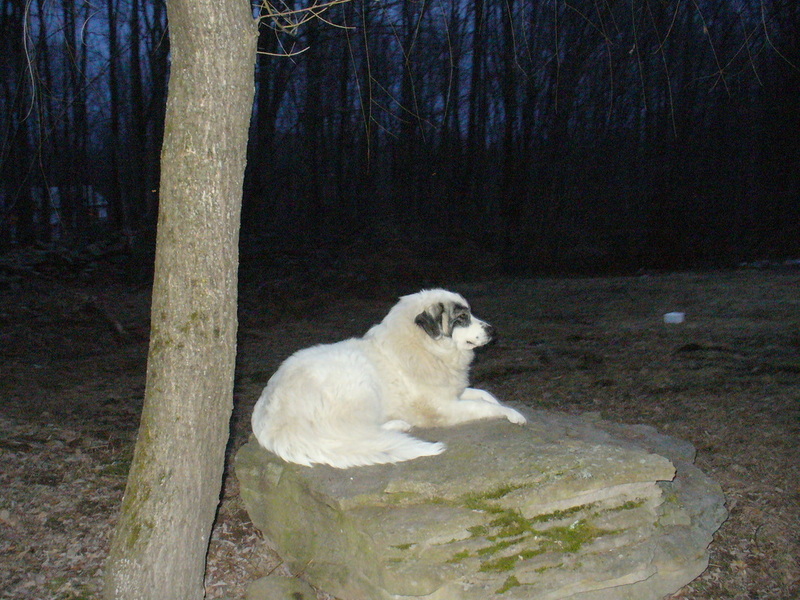 Karakachan (other names: Bulgarian Shepherd dog) is an independent working guard dog. When it is used as such and on the job, aggressiveness is not strongly expressed, but at the same time the dogs are reserved in their attitude towards strangers and demonstrate distance by warning growling and eventual attack. Towards predatory animals (often even toward dogs) aggressiveness increases. in which is involved. Towards its master or handler demonstrates devotion and fidelity. Its basic sensuousness via sense of smell, hearing and sight is very well developed. Usually tolerant to the children they have been raised with, they love and bond with all people and children within their own family. appearance. 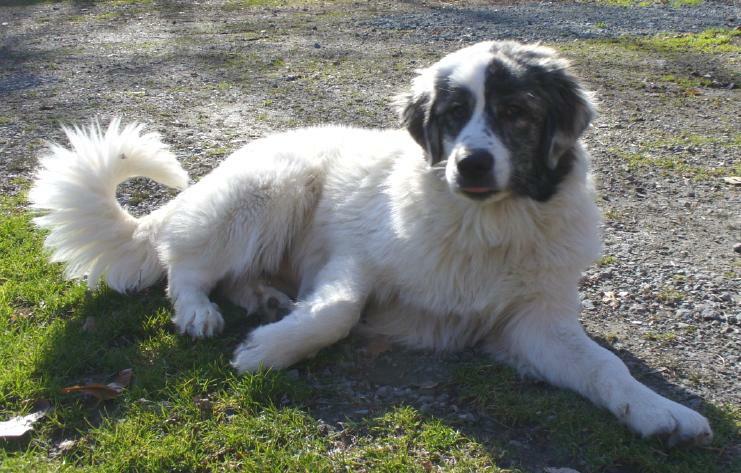 This dog defends pets, guards the farm, and looks for his master and family's safety. For centuries this dog was bred as an independent guarder who makes his own decisions out in the field. 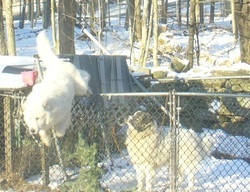 If the dog feels he is protecting his property, it is difficult to predict whether or not he will attack. together, especially – rabbits, cats, chicken, lambs, etc.